Our drones are designed to spray large areas of farmland with pesticides or fertilizers. Since a drone can cover an extraordinary amount of distance quickly, it is 40-50 times more efficient than manual spraying. Whichever way you look at it, that’s a bold, transformative step for the agricultural industry. A drone is smart enough to regulate its spraying depending on how fast it’s going, and has been designed to handle rough treatment and all weather conditions – great news for farmers. A drone can cover 4,000-6,000 m² in just 10 minutes and hence can spray crops much faster than manual spraying. A drone can be programmed to deliver spraying according to how fast it is going and adjust to the weather. A drone is designed to handle rough treatment and harsh weather conditions to still effectively deliver its spray. 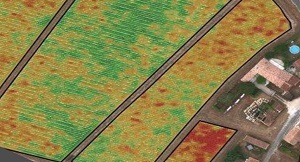 Using conventional and near-infrared aerial drone imagery, you will be able to detect weak spots in the vines caused by diseases much earlier than ground based monitoring. 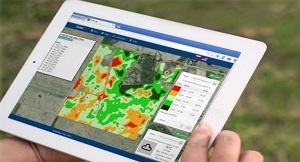 Catch weak areas & irrigation leaks in the field early on meaning your harvest could be substantially improved, increasing your overall yield. If you want to enquire about a product/service or want to ask any question, please feel free to contact us here.